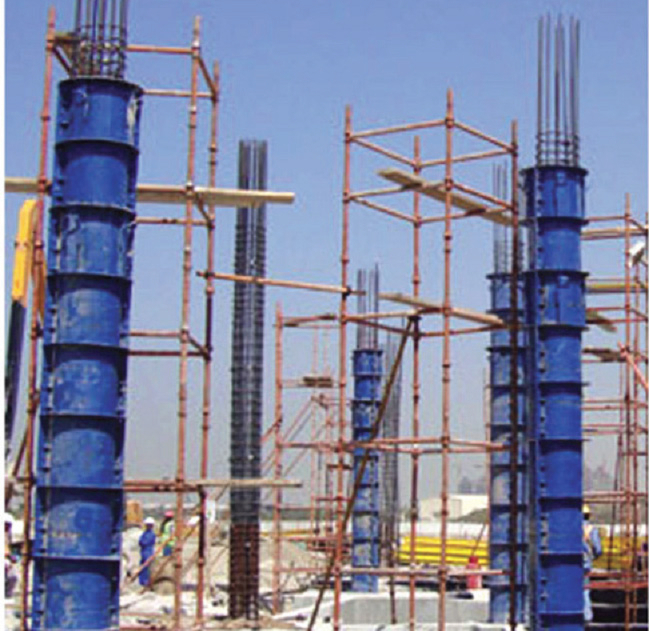 Circular Steel Column Formwork has only two identical half circles which are connected together with bolt. Circular Steel Column Formwork for perfect concrete surfaces, so column formwork guarantees a perfect concrete surface finish. Powder coating minimizes concrete adhesion. 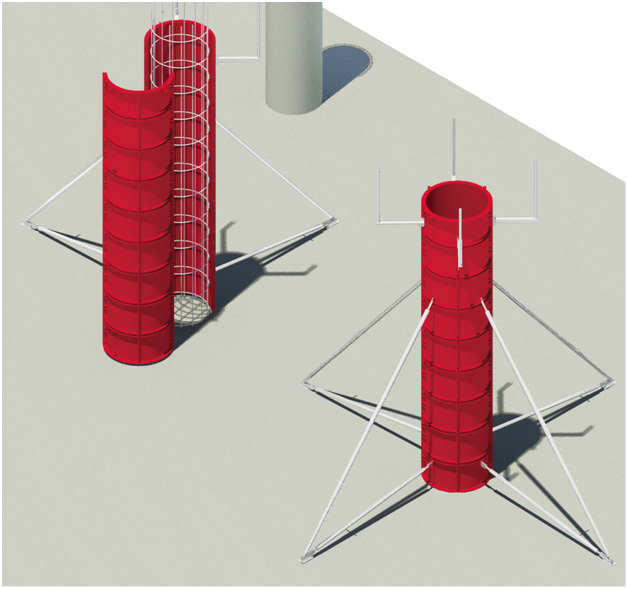 Different diameters and heights panels of 3.0m, 1.5m, 0.5m. Circular steel panel has curved sheet. The end reinforcements with holes that enable panels of different heights to be assembled. Use the crane to lift first half of the formwork into the upright position. Attach two Alignment struts to this formwork-half to prevent it from falling. The Alignment struts secure the elements against wind loads, and make it easier to plumb and align the formwork. Do not detach the crane until the panel struts are attached. Anchor the Alignment struts to the concrete slab to apply resistance through tensile and compressive forces. Place the connecting head of the alignment strut against one of the fixing points on the Column element, and secure it in place with 20×40 connecting pin and cotter pin. Lift the second half of the formwork into the upright by crane. Join the formwork-halves and temporarily fix in place with 2 blots to assist in alignment. Once the two halves are correctly aligned, complete the bolt connections along both joints. Do not detach the second half-shell from the crane before both halves of the formwork are properly connected. Please wait whilst the document is being loaded.